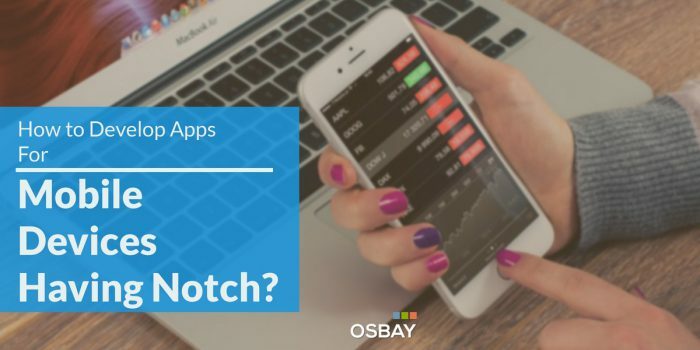 How to Develop Apps For Mobile Devices Having Notch? 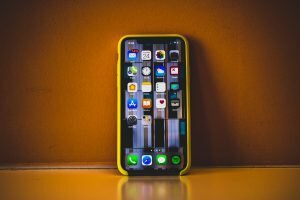 1 How to Develop Apps For Mobile Devices Having Notch? 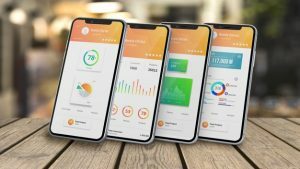 If we look back some years ago when iPhone X came to market, mobile development companies especially those who had ventured on Android smartphones felt a bit challenged. They took the initiative to improve the features of their mobile. They brought in phones with edge camera and sensors like those of apple. Among the above feature, mobile development for Android has more focused on video experience. Some of these devices have a camera of up to 13mpx that give clear video and images. 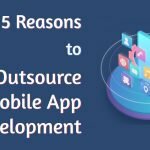 Today other mobile app development software entities have come in existent adding to the 16 noted last year. 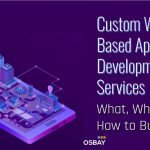 Among them is the Osbay that focus on mobile development on the mainstream platform such as Android and iOS. In normal circumstance, we cannot say a notched smartphone is perfect since they have problems sometimes. We will be looking at them using an example of Nexus 5x with running Android of Pie 9.0. 1) In Nexus 5x, the device has an App that displays itself on the whole screen. When you click on it shows a full screen. At the center is a text and when you click on it toggles back and forth. iPhone has an edge-to-edge- OLED screen notch with cameras and sensors attached to it. 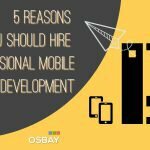 That makes it more reliable among the many mobile development business companies that are already in place. 2) When using a notch, the screen icon migrates on the top part of the mobile display. This behavior makes the full screen, not in total use. It leaves blackout on screen edges prohibiting the mobile user not to access the whole screen. With the introduction of Android Pie, this problem has a solution. Android Pie has APIs that rectifies this problem putting the whole screen in use. 3) When mobile app development services for Android came into being, exert stencil for a sticky part on the notch did not exist. It resulted in displays of some features which are either small or big. Thanks to Osbay that has come to standardize these features. 4) The extra space that comes with edge notch on its screen along the peripheral is yet on use. Some device, however, uses these spaces for battery bar and network strength. 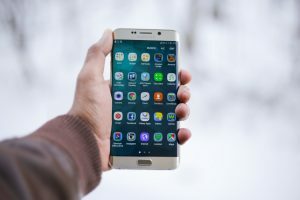 With increased devices in a place like Huawei P20 and P20 Pro, LGs’ G7, Asus’s ZenFone 5, Xiaomi’s Mi8, Vivo V9 among others, this space is now on use for text alerts, and downloads in progress. Mobile development for ISO notch devices has come up with graphics to extend screen up to the top of the invention to help maximally use of the screen. This technic is the special mode used only with user permission. The technique must be active otherwise if it is not the standard screen appears only by cutting off the full-screen utility. They exist only two options to cope with the cut-out in notch devices. You can both cut the screen and drop the content down or integrate into User Interface at present at the time. Almost all Android devices you will not fail to meet a fake notch that has spread over the phone surface. That false notch you can only notice it in the mobile development setting. It simulates the appearance of various cutout sizes present in the phone. You need to have the latest version for you to use this service. Here is where you need information about how to manage various projects of the Android app. You must as well know to code and code straight that helps to keep customer sustained. Technology has advanced more into 18: 9 from early 3:2. 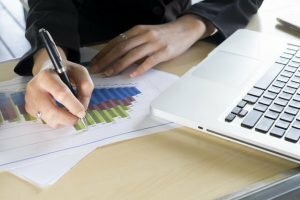 You, therefore, need to have ways to manage those top aspects ratios. We have guidelines that give tutorials on how you can screen support size. It is, therefore, suitable to have a look at them. Always ensure you run codes to check in every app establishment. Use Android Studio to help you at all time. It helps you in establishing app that is good in incorporation with among other application. Your Android Programming notch must also help you display download, picture from the internet. Android is set to maintain customers’ ample support, guidance, and knowledge in the whole process of application of the Android system. I if hope the above information will help you for better quality service from the Android system. Mobile App Vs. 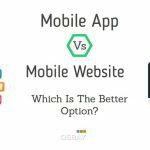 Mobile Website: Which Is The Better Option? 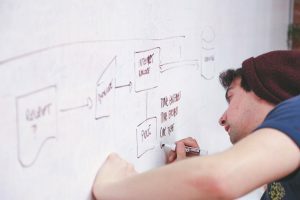 Web Based Application Development Services – What, Why and How to Build It?